Natural gas combined cycle (NGCC) and coal-fired power plants are supposed to be started, ramped up to speed, and run under constant conditions until being shut down. That’s why they are called base load power plants … they provide a steady output of electricity. They are not designed to be load following plants, where the power plant ramps up and down to follow the load, i.e., demand. If they are forced to follow the load, which is the case when wind and solar are on the grid, the sudden changes in temperature damages parts in the boilers and turbines. Utilities recognize this and are now having to pay for studies to establish the best way to operate these plants to minimize the damage, but the damage cannot be entirely eliminated. At the minimum, the damage will require higher spending for replacement parts or repairs during scheduled outages. Cycling, however, can also cause unscheduled outages. In both instances, forcing these units to follow the load, increases costs, which are eventually passed on to consumers. The first casualty of cycling is Capacity Factor, a measure of how efficiently the plant operates, in terms of the amount of electricity produced versus the maximum it could produce based on its nameplate rating. In other words, the power plants aren’t being utilized as much as they should be, which means the investment is underutilized. Next, pollution control systems work less effectively when flu-gas temperatures and pressures vary with sudden changes in load. In addition, the equipment is damaged. Here are some prime examples of the components that are most susceptible to damage. Headers are thick, expensive and hard to reach components that are cracked as the result of thermal cycling. The boiler structure that supports firewalls and water-tubes expands and contracts at different rates than the firewalls, etc. This uneven expansion and contraction causes severe damage to firewalls and tubing. Different expansion rates cause damage to the super heater tubes and their supporting structures. Boiler water chemistry is altered when boilers are operated under variable temperatures and pressures. Boiler water chemistry is crucial to preventing chemical attack of boiler tubes. Steam turbine rotors consist of huge, solid forgings. These rotors must be brought up to speed slowly so as not to be deformed by changing temperatures. The coefficients of expansion between components are also different, which requires steady operating temperatures under load. Clearances are tight and deformation could cause rubbing and damage. Gas turbines have buckets mounted on diaphragms keyed to forgings. Though more flexible, they can also be damaged by sudden changes in temperatures. The various components, similar to coal-fired boilers, are subject to sudden changes in temperatures that can damage components. Auxiliary equipment, such as steam lines, is also subject to these sudden changes in temperatures. The temperature changes also inflict creep and fatigue damage, not mentioned above, to various components in the turbines and boilers. The public isn’t aware of these problems and higher costs. All they hear about are the so-called “Green” benefits of wind and solar. In the real world, renewables cause problems, and increase the price of electricity to consumers. I have worked inside the fire-box of marine boilers to point-up the brickwork, and to clean the tubes using a handheld steam lance. 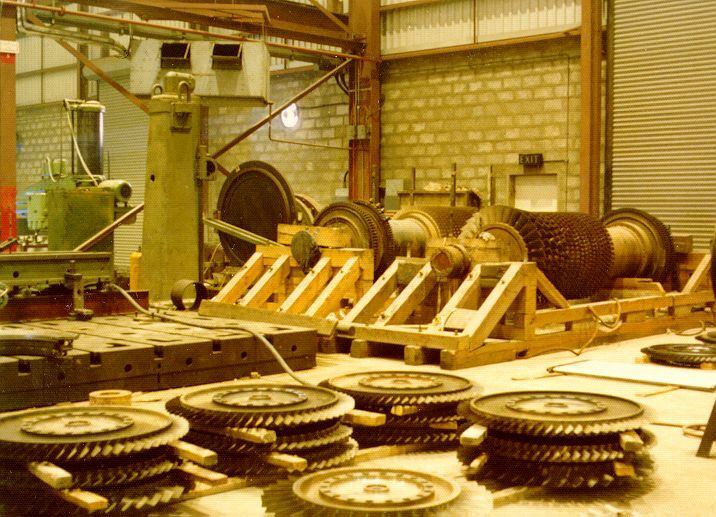 As a test engineer, I also entered turbine casings to insert balance weights into grooves cut in the steam turbine rotors while units were still hot after having been run at speed. Again, I have run balancing tests on generator rotors, participated in decisions on how to repair cracks in turbine shells, rewind generators and a multitude of other related activities. And, of course, I have witnessed the assembly and disassembly of steam and gas turbines on countless occasions. These are mentioned to ensure that readers understand my comments are from firsthand knowledge, and not something that came from a book.